By Landmensch [CC BY-SA 4.0 (https://creativecommons. At last weekend's Belgian Grand Prix rumours of an extraordinary imminent round of F1 driver musical chairs swirled. All started by Lawrence Stroll leading a consortium to buy Force India, which means it's thought a matter of time until his son Lance rocks up there from Williams. And this, the grapevine said could trigger several other moves, perhaps for as soon as the following round. But this would be next to nothing, as for Motorsport Week I looked back to a season wherein no fewer than 46 drivers turned up in a race seat at some point. It may not be altogether surprising that this was tumultuous 1994. Italian GP Betting Preview - Just like old times? F1 has in a sense gone full circle. 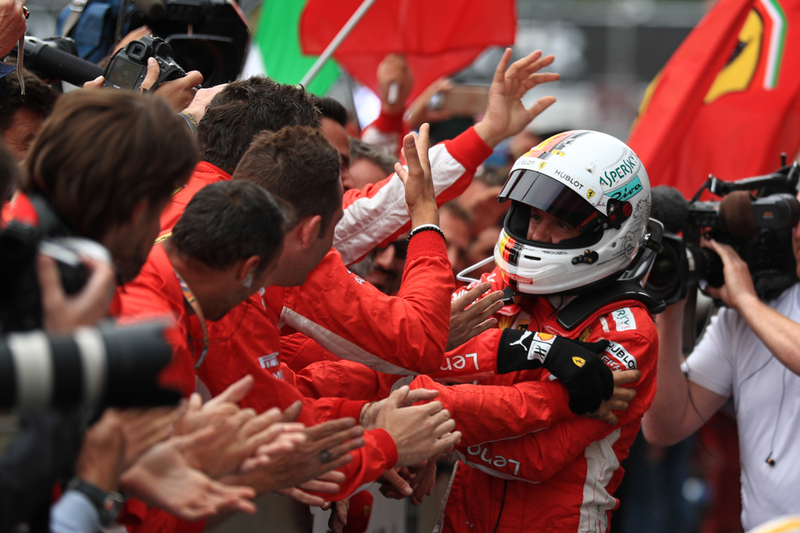 Time was we could expect a Ferrari upturn for the Italian Grand Prix at Monza. As its home round, with everything that entails, the red team would turn up with a 'special'. For various reasons those days are in the past. But for the first Italian visit in a good while we nevertheless turn up this time with Ferrari emphatically the team to beat. The view the rest will be getting of Ferrari? 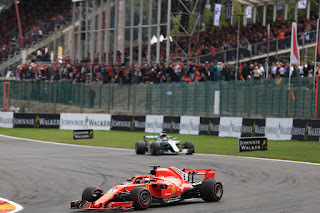 The Scuderia generally has been on top pace-wise in recent rounds, and in the Belgian stop-off last weekend - at a track just like Monza with plenty of full throttle sections - both Ferrari and Mercedes turned up with new power units and Ferrari remained at least as far ahead on that front as it had been before. Perhaps more so. Sebastian Vettel sailed past Lewis Hamilton on lap one as if he was parked on the way to a comfortable victory. Much to Hamilton's audible chagrin. And as intimated this advantage will count for a lot at Monza, and the bookies have noticed judging by that they've made Vettel favourite for the pole and win. The odds still look pretty tempting as you'll near enough double your money if Vettel prevails, with 8/11 for him to get pole and 19/20 to win the race. With this too you may be similarly tempted by the 8/13 available for Vettel's fellow Ferrari Kimi Raikkonen to finish on the podium. The grapevine has him being retained at the Scuderia for next year, and another Ferrari tradition is announcing drivers for the following year at Monza - so with this the Finn should be in a good mood. You can also get 3/5 on a Ferrari to win. What a difference a year makes. 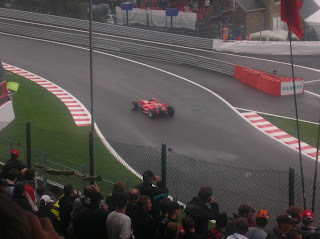 Twelve months ago, then as in previous visits we approached an Italian Grand Prix expecting a Mercedes demonstration run. 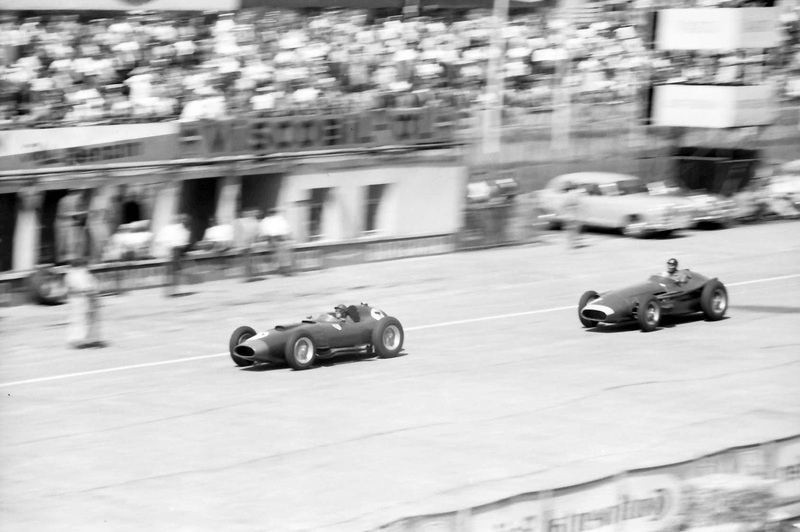 The German power unit couldn't be matched on full noise and the works team was best placed to take advantage on the Monza track's many long straights. To wit - Mercedes has won the last four races here, all imperiously and three of the four have been one-twos. Last year the first non-Mercedes - Sebastian Vettel's Ferrari - finished some 36 seconds adrift of the winner. Will Ferrari again be showing Mercedes the way? Now in advance of the latest Italian stop-off you'll struggle to find anyone who doesn't expect exactly the same of Ferrari instead. That its power unit is a clear step ahead of the rest on grunt and is particularly so in the back of the works car; that Ferrari therefore is the car to beat at Monza and likely will not be beaten. The Spa round just passed - another power circuit - underlined the point in thick red lines. "He came sailing past me like it was nothing," said Lewis Hamilton then of his foe in red Vettel. "We made a big step coming into this weekend; they made an even bigger step..."
He added elsewhere his perception of the Ferrari engine's "trick things". Mercedes boss Toto Wolff admitted too after Spa that the silver car's traction and performance in slow stuff is poor - which in turn blisters the tyres - which will also be a problem at Monza. 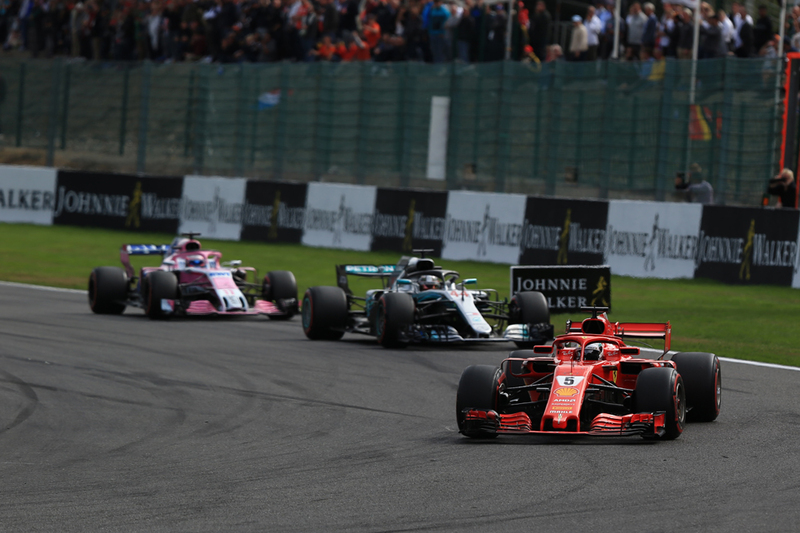 My Formula 1 2018 season summary for Motor Verso is back after the F1 summer break and now has my take on the Belgian Grand Prix added. It was a weekend wherein lightening struck for a third time, in that rain yet again arrived and threatened to scupper Sebastian Vettel and Ferrari. But for the first time in this run they overcome the setback to win. And with it reminded us that this championship is far from done. As ever the summary includes some wonderful Pirelli photography and the best F1 content about the race on YouTube. You know what they say about lightening striking twice - well what do they say about it striking three times? 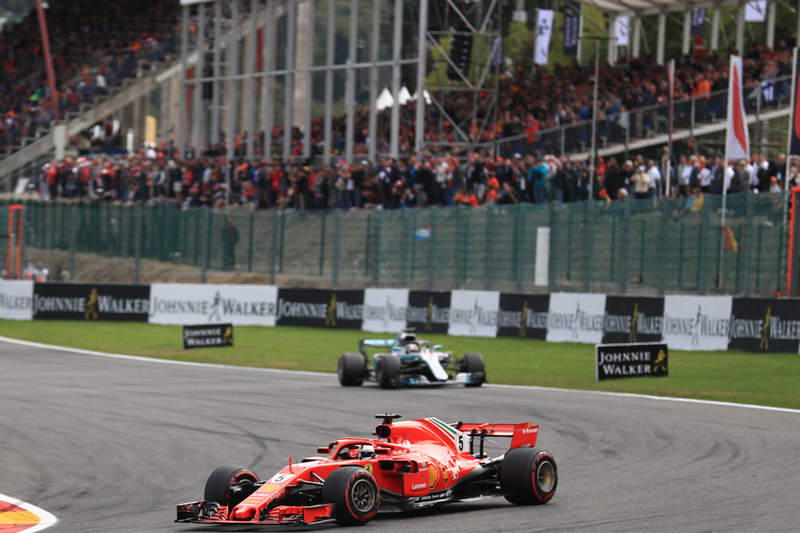 Ferrari in qualifying for this latest Belgian Grand Prix at famous Spa had reason to curse the conspicuous sense of deja vu. For the third round in a row it looked the fastest thing out there. For a third round in a row rain threatened to scupper it. Rain is a Spa perennial of course and was expected all weekend. It arrived only at the last of qualifying and allowed rain master Lewis Hamilton to pip Sebastian Vettel's Ferrari for pole. Suddenly Vettel's task looked much harder, and on a weekend in which - so the consensus went - he simply had to make up points ground on his Mercedes foe. At the start another Spa perennial made itself felt - chaos at the tight opening La Source hairpin. 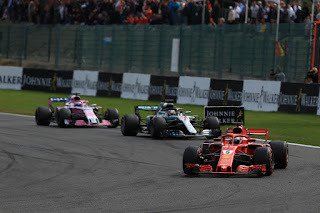 A late (or non) braking Nico Hulkenberg pitched Fernando Alonso's McLaren over the top of Charles Leclerc's Sauber. The McLaren bounced off Leclerc's halo, it possibly saving his life. One wonders what the halo objectors made of it. Just flagging a couple more articles by me on F1 history that have been published on AutoClassics in recent days. 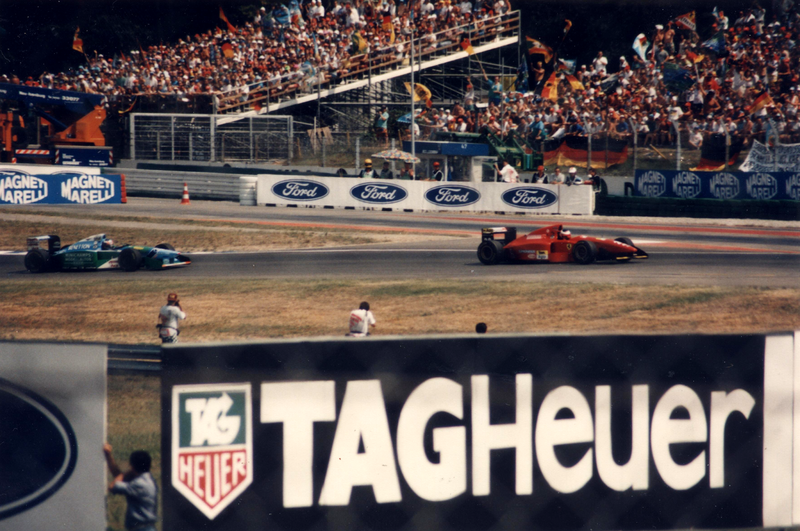 To coincide with the latest Belgian Grand Prix at the revered Spa-Francorchamps circuit, I pay tribute to the master of modern Spa - Michael Schumacher. 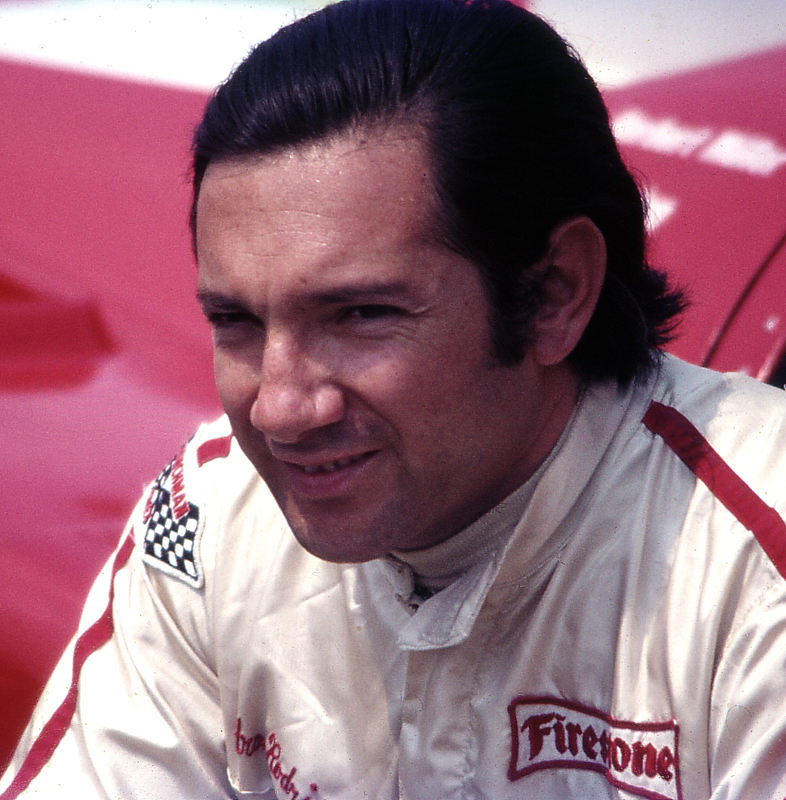 He took six wins and had a few other near misses. For AutoClassics with the help of Motorsport Images's superb photography I look at the great man's finest Spa moments. You can took a look here. 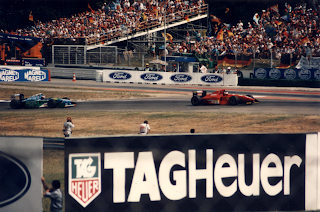 While 30 years ago this week Johnny Herbert had a spectacular F3000 crash at Brands Hatch. And as the man himself said, without it "things could have been so different". More so than you might think - and in more ways the one. I explored the story, and you can have a read here. 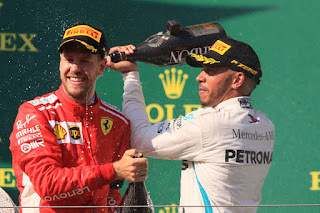 Formula 1 reconvenes after a four-week summer break with the consideration at the front remaining familiar - victory in this weekend's Belgian Grand Prix at Spa looks in advance a matter primarily of Lewis Hamilton's Mercedes versus Sebastian Vettel's Ferrari. Ferrari had the quickest car in the weeks before the break, and Vettel won at the last similar-ish challenge to Spa at Silverstone. That 70% of the Spa track is taken at full throttle should be to his benefit too as the Ferrari engine has also been mighty recently. But then again in this time for one reason or another - some their own doing; some not - Vettel and Ferrari haven't always converted their advantage to victory. 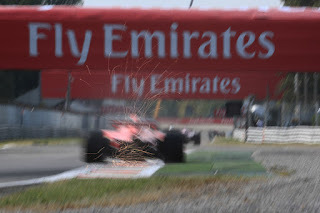 And this time the very thing that scuppered them in the last weekend before the break in Hungary is due to re-occur. Rain. 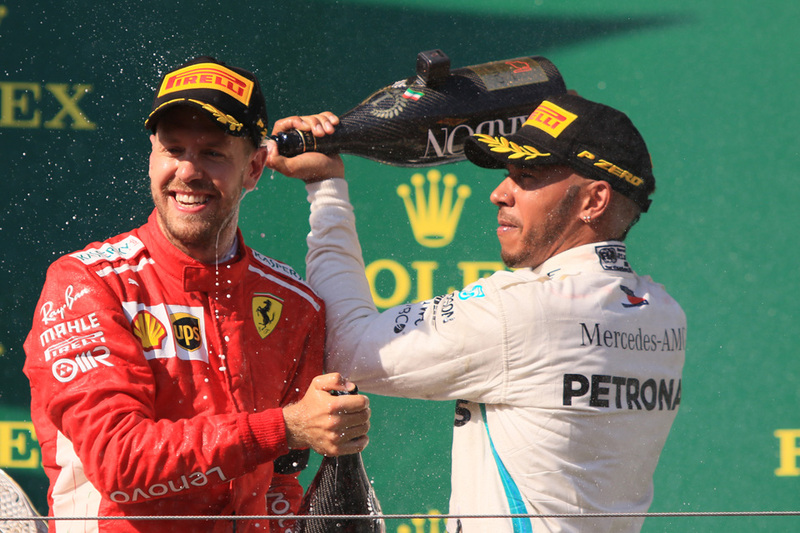 The bookies agree that Hamilton versus Vettel is a tough call as the pair have exactly the same odds to win and to take pole - respectively 6/4 and 11/8. It's not true what they say. Not everything about modern F1 is bad. This weekend it returns from its summer holidays and could not pick a better place to reconvene. Spa-Francorchamps, the inimitable longtime host of the Belgian Grand Prix. Its mere mention brings many associations. The speed. The mighty turns. The undulations. The organic feel. The picture postcard Ardennes scenery. The link to the very beginnings of road circuit motorsport. Little wonder that when you ask F1 drivers, engineers or fans for their favourite modern venue this is the one commonly said, often without the slightest hesitation. 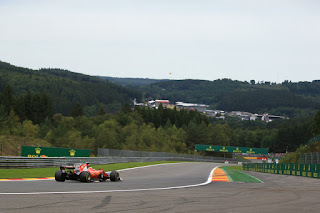 You can add too that F1 races at Spa almost always are diverting. I'm sure there have been dull Sundays here, but it's not all that easy to cite them. 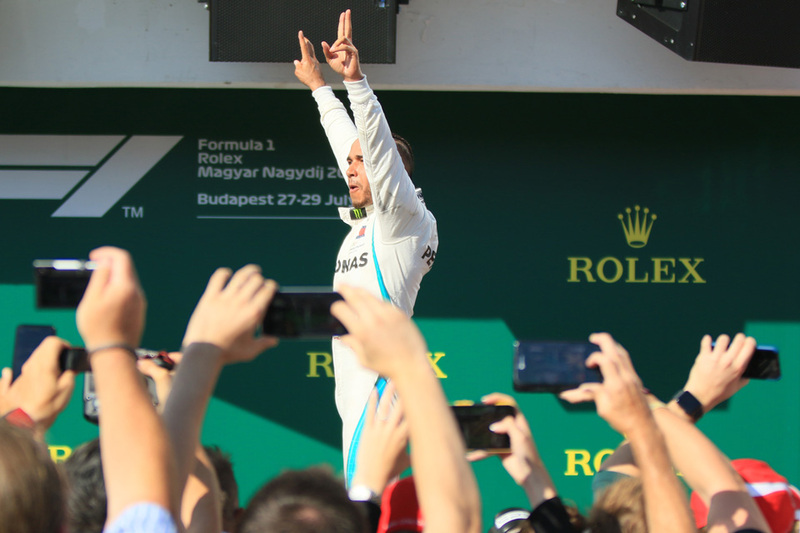 The Inside Line F1 Podcast returns after a sunny summer break from the beaches of Greece. In this week's episode, we commemorate 25 years since James Hunt's death and who better than his son Freddie to narrate stories, incidents and the passion of the 1976 Formula 1 World Champion. Did Rush add to Hunt's popularity? And what if social media existed back in the Hunt-Lauda era? Know more in our Hunt exclusive episode. We also talk to Freddie about his racing career, plans to follow his famous father into commentary and the impact of having a name as famous as 'Hunt' in the world of Motorsport. Tune in! Pointing you in the direction of a couple of recent articles of mine published on AutoClassics, in case they're of interest. My latest article on the best from the Motorsport Images archive is themed for this weekend's WEC Silverstone 6 Hours. I've looked at some of the best moments from world endurance racing in Britain compete with stunning photography, including Pedro Rodriguez in the rain at Brands Hatch in 1970. And a complete rundown of what I've been writing for AutoClassics is available here. The word 'retire' wasn't used, but it seems we've made our minds up anyway. 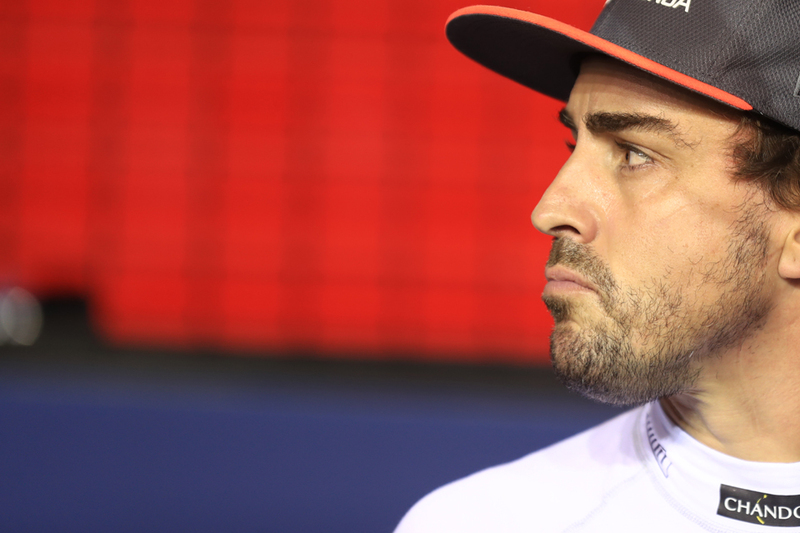 Various articles on Fernando Alonso have followed his announcement that he won't be in F1 in 2019, reviewing him as man and driver and all with an air of finality. Yet also unusual is that vying with the tributes of his driving skills have been claims of a difficult personality and career mis-steps, all of which have added up to career stats that don't do him justice and a tainted legacy. But is it that simple? And might the 'flipside' outlined - missed opportunities, poignancy and anti-hero status - actually help how readily we remember Fernando Alonso? I think it could do. You can keep an eye on what I've been writing for AutoClassics here. There are many things you discover when pursuing a career in motorsport journalism. One is that having a car is pretty much essential. Circuits tend to be in the middle of nowhere, well beyond the reach of public transport or walking distance. You also discover that having a car comes with many considerations that may have not crossed your mind in advance, particularly if – in another motorsport journalist occupational hazard – you have to do long journeys. 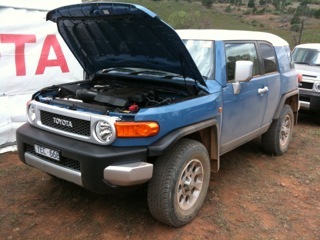 I’ve therefore compiled a few car maintenance tips in this article. A couple of general disclaimers before we begin. What I say applies to the UK unless I state otherwise, plus they come with no more weight than my general meanderings as a non-expert car user. Don’t take these as gospel in other words. But still, hopefully they’re useful. As a general rule these checks should be done when the car’s cold for accurate readings as well as for safety reasons in the case of the checks such as the coolant – so wait a few hours before doing them if you’ve been driving. Also a lot of them should be done before long journeys over and above the regularity cited. And without wishing to state the obvious when you do them make sure the car’s in a safe place, i.e. you’re won’t be in the way of traffic, and the handbrake is properly applied. The beauty of a lot of these engine and tyre checks is that they can be done yourself, but there’s no harm in popping into a local garage if you’re not sure about any of them. My Formula 1 2018 season summary for Motor Verso continues to expand - now it has my take on the Hungarian Grand Prix added. Wherein, possibly for the first time this year, lightening struck twice - and did so in Lewis Hamilton's favour.